The impressive Infinity Display on the Galaxy S8 performed poorly in numerous drop tests, suggesting that the thin bezel makes the glass more prone to shattering. The price of the Samsung Galaxy’s beautiful display seems to be durability, judging by recent durability tests. A number of YouTube channels conducted tests that revealed that the Samsung Galaxy S8 tended to break consistently under substantial impact, though its screen was scratch-resistant. 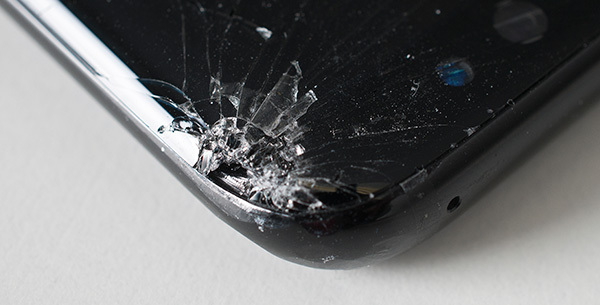 The most recent test by German testers at test.de showed that repeated drops at 80 centimeters shattered the corners of the Gorilla Glass 5 screen after a mere 50 falls. The culprit seems to be the edge-to-edge display, which is certainly aesthetically appealing but is also difficult to reinforce against impacts. Even so, the touchscreen remained functional and the rear panel did not suffer much damage. These tests seem to contradict previous results from tests run by JerryRig Everything, in which the S8 underwent scratch, burn and bend tests and passed with mostly good results. Given this issue will continue to exist for the foreseeable future, Galaxy S8 buyers would be wise to consider buying a protective case that can take the brunt of the impact off the corners. No matter how well we take care of our phones, they will fall to the floor at some point. As replacing the screen will cost 25 percent more than the Galaxy S7 Edge, more protection is better for your wallet and your peace of mind.